These are medium wave Quartz Infrared Heaters with a short warm up time designed as surface heaters for industrial use. Standard designs come with 220/230 volts. Other voltages can be realized after perusal. There are three different mounting types: 2-bolts (H2), pillared (HM), and plug-in (ST). A broad emission spectrum ensures uniform irradiation. They have a highly effective metal reflector which results in high heat output and low convection losses. Fixed sizes allow the installation of up to several hundred cassette elements with customer-specific heating fields.Deliver fast operational capability with homogeneous diaphanes throughout the whole heater panel. 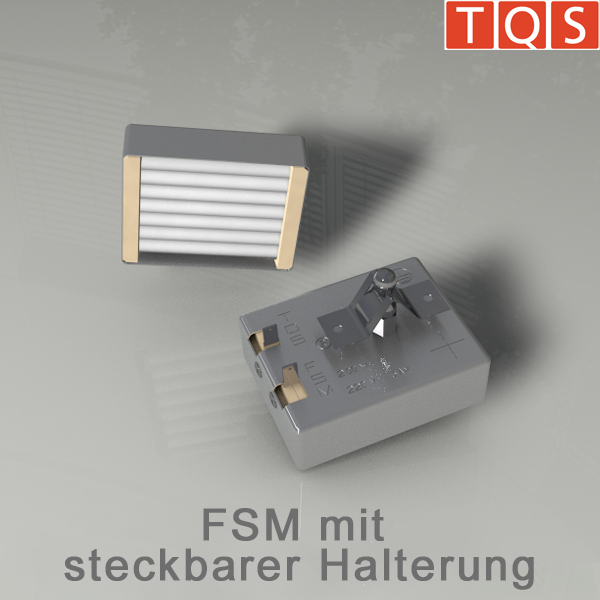 Immediate 100% performance with super fast homogenous glowing matrix over all built-in heaters upon switch-on of electric power. 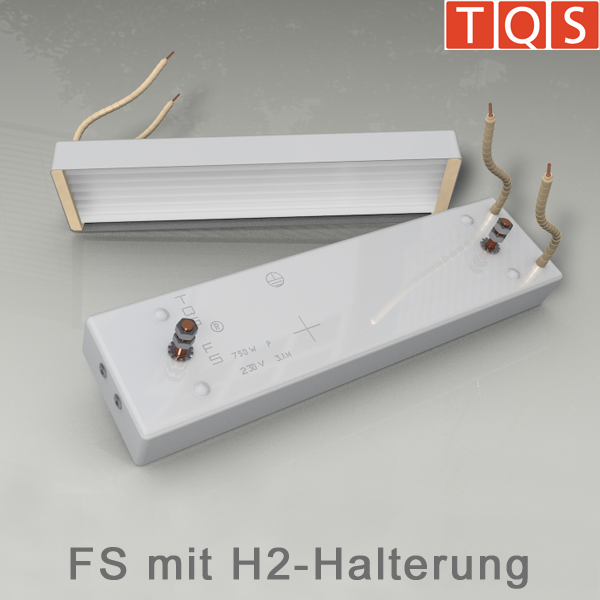 All heaters are equipped with acid-resistant robust quartz tubes. Heating elements’ standard application: horizontal or vertical mounting. Heating elements can be regulated with transformers, thyristor regulators and electronic power regulators. 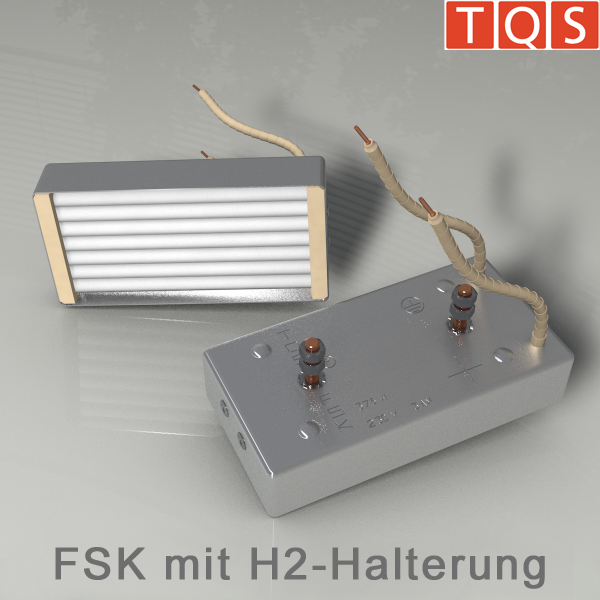 They are immediately responsive to power changes due to their low thermal conductivity. They are not sensitive to drastic changes in temperature. 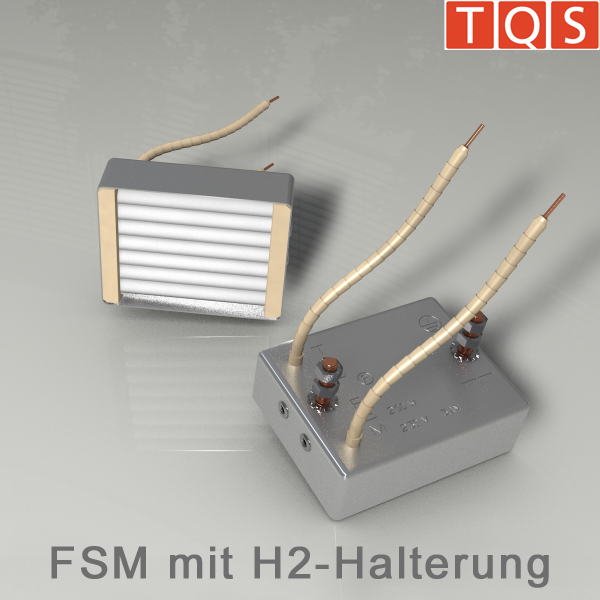 “FAST” version of the heating elements are available. 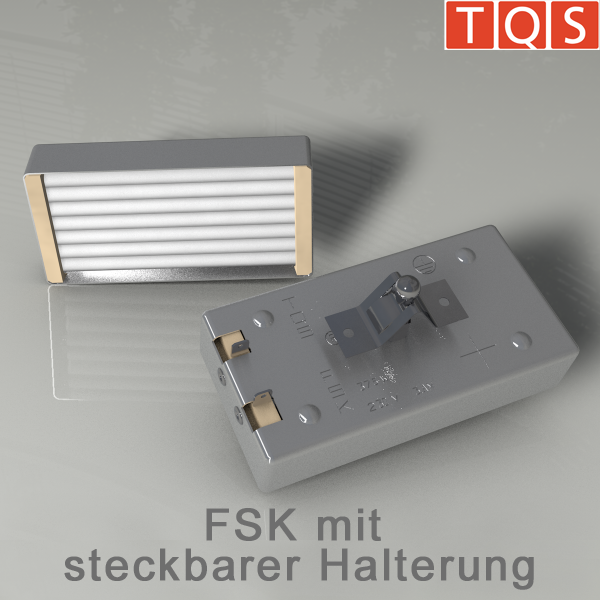 “FAST” heating elements show an approximately 20% reduced warm up time by short term supply of over voltage. 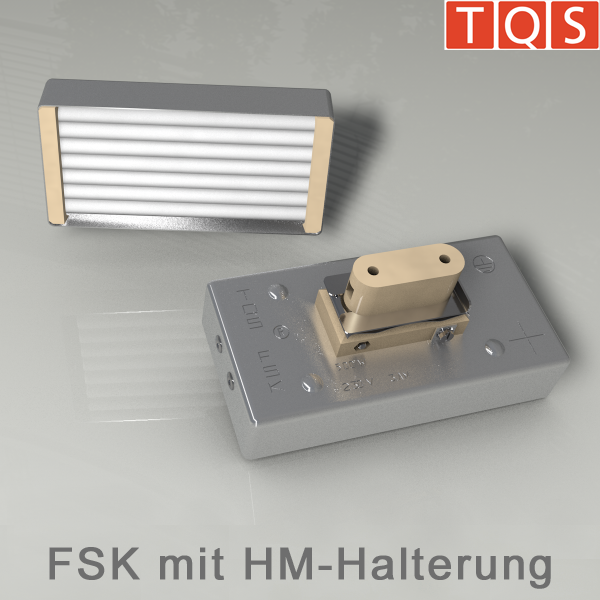 TQS High Quality heating elements can be mounted in three ways. More information about these three versions is available here. 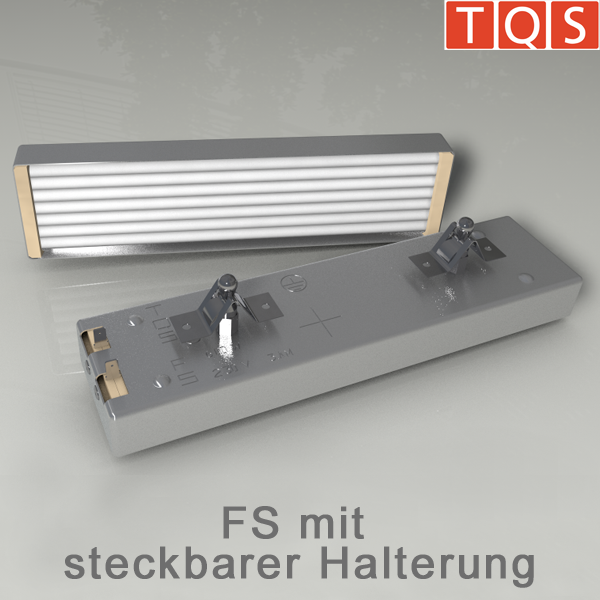 The TQS Square tube heaters offer, as a result of the parallel and right-angled arrangement of the quartz tubing, even temperature distribution throughout the radiator. In combination with the reflectors in the machine, the radiator efficiency is significantly increased. 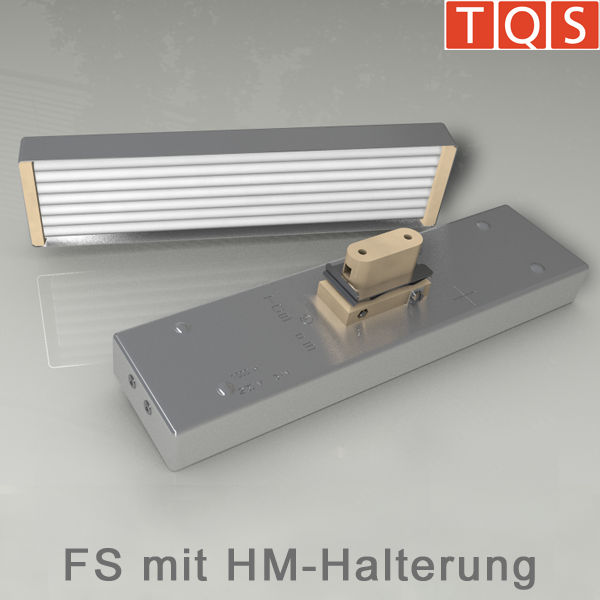 Available in two sizes (100 x 100 mm and 140 x 140 mm), the TQS Square tube heaters are designed to be installed both vertically and horizontally. The delivery of the square tube heaters come complete with beaded connecting wires (100 mm long) and forked cable lugs. 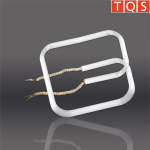 The TQS straight single tube heaters are designed for specific industrial uses with a single heat spiral coil in the quartz tube which is ideal for thermoforming in modern neon light outdoor display boxes. 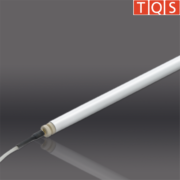 TQS equips these straight single tube heaters with high quality quartz glass. Standard length: 2200 mm. 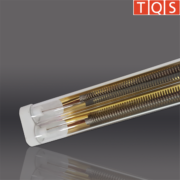 The TQS Twin tube heaters with gold plating are equipped with high quality quartz tubes, featuring a gold reflector on the bottom side for the highest possible efficiency. Dimensions and reflectors are manufactured to meet your specific requirements. Gold reflector: The TQS Gold Plating on the Twin Tube reflects IR radiation optimally on the product, thus, nearly doubling the radiation on the work piece. Twin Tubes: The TQS Twin Tube design offers high radiation performance along with excellent mechanical stability — with standard twin tube lengths from 1500 mm to 6500 mm. Customer specific measurements can be met. Quartz Glass: TQS Twin tubes are made from pure (99.98% SiO2) Quartz sand. TQS Quartz Glass is ideally suited for good transmission and temperature resistance. The delivery of the twin tube heaters with Gold Plating come complete with beaded connecting wires (100 mm long) and forked cable lugs.